There is nothing like freshly popped popcorn! 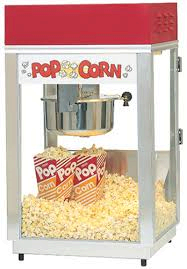 Included with price is 4 Popcorn kits (kernels, oil and butter package) + 1 FREE 30 Popcorn bags. Additional supplies can be purchased.